Until November 18, 2008 the US Food & Drug Administration is seeking public comment about the use of genetically engineered animals in research and food production. The proposal is supposed to increase industry compliance with FDA regulations and the FDA will have oversight over genetically engineered animals and food products from these animals. The American Veterinary Medical Association supports the efforts of the FDA concerning genetically engineered animals but with all the troubles regulating the standard food issues over the past year I have my doubts. However, the good news is that the draft of the proposal, The Regulation of Genetically Engineered Animals Containing Heritable rDNA Constructs is online so you can review it. 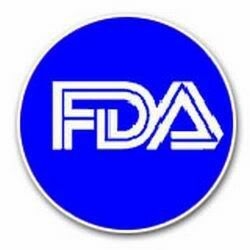 Public comments on the draft guidance are accepted until November 18, 2008, and can be submitted at www.fda.gov/dockets/ecomments or www.regulations.gov and by selecting select Docket No. FDA-2008-D-0394.